Just settling into married life following our honeymoon and had to get in touch to express our gratitude! The wedding music was always one of the most important things to me and from the minute I got in touch with Lisa I knew we had made the right decision. Being very indecisive (sorry..!) the help and advice I received was absolutely invaluable and nothing was ever too much hassle. I never felt like I had to stick to certain songs or choices and everything was completely our decision. On the day we couldn’t have been more delighted. Getting a supportive wink from Lisa really put us at ease and the day was so hassle free. I adored listening to every piece and your voices are just so beautiful. everyone was talking about it. I can’t wait to hear it back on video and remember it all over again. I couldn’t recommend you all highly enough it was just superb from planning, to the start of the mass to finish. Thank you so much again for making our ceremony so wonderful! I was so pleased with the ceremony music at our wedding. It honestly was fabulous. The music & singing brought a tear to more than one eye & the Vard Sisters performance was complimented by so many of our guests. They looked fantastic, we’re so respectful of the day & the surroundings & sounded absolutely wonderful. Before the day Lisa was so helpful in advising appropriate songs for each part of the ceremony. I wholeheartedly would recommend to anyone & am so glad we had the amazing music we had. Other ceremony music & singers just aren’t a patch by comparison. From the moment we heard the Vard sisters, we knew that no matter what, they had to be a part of our day. The entire wedding theme stemmed from their angelic voices and on the day, they transformed a lovely ceremony to a truly magical one. We will forever treasure the beautiful memories they helped to create and every time we hear the songs they sang, we will always be brought back to that happy day. Wow your guests and choose the Vard Sisters! We can never thank you enough for coming to sing for us. Our guests were stunned as we were we, never mind the priest as he is your biggest fan!! The Vard sisters created a beautiful, serene atmosphere at our wedding ceremony. The congregation was mesmerised by the hauntingly beautiful tones of three incredibly talented women! “We had the best singers at the church Wendy, seriously people still talk about you guys at our wedding. Everyone, men included told me they were struggling to hold it together. On top of all that, the cassette tape (Jesus how old am I) you gave us with the sample songs soothed Hailey to sleep and nap time every day because when I was pregnant with her I used to put the headphones on my bump and play the tape… Soothed both of us. Thank you so much for singing on our wedding day. Your voices are truly beautiful. Everyone was in tears (of joy !) listening to you. Sorry we didn’t get the chance to meet you, the day just went so quickly. I apologize that it has taken us so long to write to you! I have to say Mike and I have been talking about you guys throughout our whole honeymoon. Words cannot describe how wonderful you made our ceremony! We loved every single bit of it and so many people commented how amazing you were! We already had very high expectations but it is safe to say that you far exceeded them! You made the ceremony so special for us. Thank you for helping us with picking our songs and for being so friendly and lovely throughout our journey together. Mike said you guys were super fun on the day and mucked in and help the boys get themselves in order. Having you sing at our wedding made it Even more special! Apologies that I never got a chance to come and give you all big hugs! It was so lovely to meet you both yesterday and Derek. Thank you from the bottom of our hearts for what was an exceptional performance. The staff and volunteers are still talking about it! I met a family member of one of the patients in the café this morning and he said of your performance ‘ they were like angels singing’. I really hope you enjoyed being with us as much as we enjoyed having you here. You added something ‘extra special’ to the whole day. Do let’s stay in touch and consider what we can do together. I CANNOT even begin to tell you how much I loved having you sing at our wedding. You were stunning!!! I actually have no words. You made me feel so special and You made my dream come true. And to have my Dad sing with you was one of my favourite parts of the day! Oh my god you were all SUPERB! I can’t thank you enough, you made the ceremony so special. I was trying to figure out which sister was you! You were all giving me such encouraging smiles throughout which really helped to calm my nerves!! All the songs were so professional & fantastic. I think you will be getting a few more gigs from all our engaged friends present! Thank you all so much for the beautiful singing and music at Caoimhe’s wedding on Saturday. It was absolutely fabulous and added so much to the occasion. We were truly delighted to have you with us. We went on to have a lovely day in Carton House and the Bride and Groom are having a few days in Ballinahinch Castle in Connemara, the honeymoon taking place at a later time. Many thanks and with love, Kathryn M Delany. Just home from our honeymoon and one of first jobs is to say a massive thank you to Lisa, Cathy and Wendy. WOW and more WOW is all we can say. From our first point of contact to our last, outstanding professionalism from The Vard Sisters is all we can say. Their angelic voices in the church were breath taking and we are so happy we chose them. Our top wedding tip would be to have the Vards as your wedding singers because in our view they are the best. We cannot express our gratitude enough and we can’t wait to see the video to hear it all over again. P.S. I think you managed to increase your album sales that week, many of our guests went out and bought them lol…!!! “Thank you all so much for adding to a truly amazing and memorable day last October for my daughter’s wedding. Your beautiful singing, harmonies and music was simply fantastic. It was a pleasure to deal with you from the first email to your greeting at the door of the Church when I arrived. We loved every minute of it all and you were so pleasant, helpful and professional to deal with – you made that part of the ceremony so easy to organise. To any Bride considering music for a wedding, I can highly recommend the Vard Sisters. 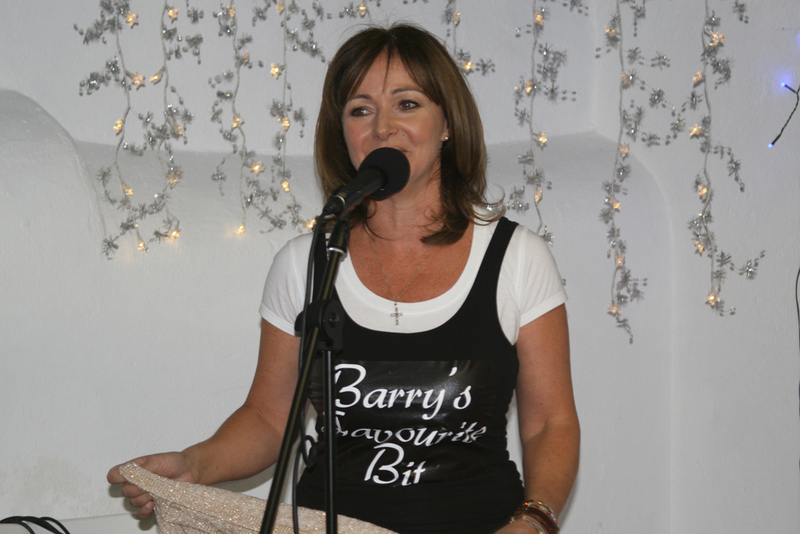 All our Guests were thrilled to hear you in Batterstown Church and you were certainly one of the highlights of the day. With love and God Bless, Kathryn M Delany. We are just back from our honeymoon and finally back to reality. We just wanted to thank you all for making our wedding ceremony so special, and to tell you how much we enjoyed your music at our wedding on Saturday 11th October 2014 in Saint Colmcilles Church,Ballinahown, Athlone. We really appreciate all the time and effort you spent discussing song options with us. We had so many people compliment us on your lovely music and voices. Thank you all very much for being part of making our day so special ! It is difficult to put into words how thankful Jim & I are to you all for the stunning performance at our wedding. When I stepped into the church and heard you all singing it immediately set the tone for a wonderful day. Our guests were in awe of the beautiful harmonies and to this day are still talking about “The Vard Sisters” and “their amazing voices”. From beginning to end you guys were brilliant to deal with. Not only are we thankful for the music – I would also like to congratulate you on a fantastic website. I found it so helpful and selected my readings, communion reflection and vows from it. The vows lent a huge hand in giving our day an extra special touch and made the moment very personal for both of us. Our wedding was a day that we will cherish forever and we cannot express enough thanks for your lovely manner, professionalism, advice, beautiful performance and overall contribution to our day. Thank you so very much for your beautiful singing at our wedding on 2 May 2014, the three of you were simply fantastic. We just loved it and you really made the church ceremony truly special for us and for our family, which was so important to us. We could not have dreamed that the music would have been as special as it was and your highly emotive singing brought a tear to many eyes! It was truly unforgettable for us, and so many of our guests were talking about you afterwards and how fabulous the singing was throughout the ceremony. We would recommend you to anyone! Thanks again, you were just wonderful. I’m not sure where to start in terms of thanking you for the beautiful performance on our wedding day! I can’t describe in words the atmosphere which you created throughout our ceremony! I loved every minute of it and could have listened to you all day! You definitely turned a special ceremony into a magical fairy tale!! So many of our guests said it was like being at a concert as you could hear a pin drop at times! Wishing you continued success and best wishes for the future! I have attached a photo which I think is beautiful of you, hope you like it! I am so sorry for the delay in sending this to you, very hard to come back to normality after a 7 week honeymoon, and to be honest I had a little bit of the wedding blues after all the hype. We had such an amazing day and from the bottom of my heart I really thank you all for creating the day I had imagined. Everyone is still talking about it and the dvd is amazing. Here are just a few words if you would like to use them on your website. “Words cannot express the professional and very caring attitude the Vards had during and on the lead up to our wedding. Their guidance and recommendations in choosing our wedding music was so appreciated, as was their light hearted and very warm approach which would make any bride feel relaxed. Their presence made our wedding such a memorable and very elegant event. All our guests were just blown away by the music as were we. Even watching it back on DVD we still get chills. We had such an amazing day and from the bottom of our hearts we really thank you all for creating the day we had imagined. I have been meaning to message you to thank you so much for making our wedding day even more special and memorable. As the priest said it was like a little piece of heaven on earth and it certainly was! Thank you so much for everything and we hope to see ye soon. Sincere thanks for the wonderful musical performance at our wedding; family and friends still remark upon it. It was a joy and a privilege to have you involved in our special day. In addition, we also wished to say that we found you to be exceptionally pleasant, helpful and professional to deal with. You made the experience of organising church music so easy. We would like to thank you from the bottom of our hearts for singing at our wedding Mass on June 30th. You were so unbelievably amazing – from learning to sing one of our favourite songs during the candle ceremony, *Grow Old With Me* to giving my mum some Rescue Remedy to help calm her nerves! You were simply wonderful. Not only were we blown away by your beautiful harmonies, but all of our families and friends were in awe and in disbelief that they were sitting in a church listening to The Vard Sisters performing! We will be forever grateful to your for creating such a beautiful and special atmosphere in Glendalough on our wedding day. Your kindness, your smiles and your beautiful voices will always be remembered and treasured. Thank you Cathy, Wendy and Lisa for making our wedding day even more special and memorable that we had hoped it would be. Its so much more than beautiful music; its everything. From the kindness and warmth I felt from you when I first contacted you, to the beautiful spellbinding performance at our wedding. Darren and I felt so comfortable and at ease and so much appreciated the subtle smiles and waves from you all during the ceremony. We know that our guests will always recall with amazement the wonderful Vard Sisters. Everyone was in awe of the georgeous songs that filled the church. On behalf of Darren and myself , and our families, I want to thank you from the bottom of our hearts for adding to the wonderful memory that is our wedding day. Your amazing talent and beautiful harmonies will be remebered by us forever. We wish you all the health and happiness in the world and even further success that you all deserve. Queen of Peace Church, Coosan, Athlone. I know it’s usually the bride and groom that send their thanks, and I know that Jenny and Ray will when they get back from their honeymoon, but for my part as Mother of the Bride I would sincerely like to thank you for your contribution to our daughters and now son-in-law’s wedding. I really appreciated your kindness and more especially the Rescue Remedy (now you remember me), all the guests really enjoyed your music and spoke of it during the day. Once again , thank you and I wish you all continued success. I just wanted to write a short note to thank you for the amazing music and contribution to our wedding ceremony. The music was incredible, so moving and far beyond what we could have hoped for. For us it made our day so special, much more memorable and The Vard Sisters were certainly a talking point for our guests who were also blown away by you! My Dad described the ceremony as “enchanting & uplifting ” in his wedding speech that evening and I think that nicely captures the effect you had on everyone there, so thank you. I am so glad now that we went for a wedding DVD as we have the pleasure of being able to hear that wonderful singing again for many years to come! Just a quick note to thank you all very much for singing at our Wedding. Sean and I are absolutely delighted with how beautiful you sang. Cathy thank you for making it so stressfree choosing the songs. You did a fantastic job. We have gotten so many compliments from all the guests. Firstly I must apologise for taking so long to mail you. Yourself and your sisters sang at my wedding in the Honan Chapel on May 27th. Mick and I want to thank you all for making the ceremony so beautiful. The singing took my breath away and far exceeded my expectations for the day. All of our guests commented on how amazing the singing was, ye truly made the ceremony perfect. I still get goosebumps looking back at the video!!! I’m sorry I did not get to thank ye personally after the ceremony – it was all a bit hectic!! 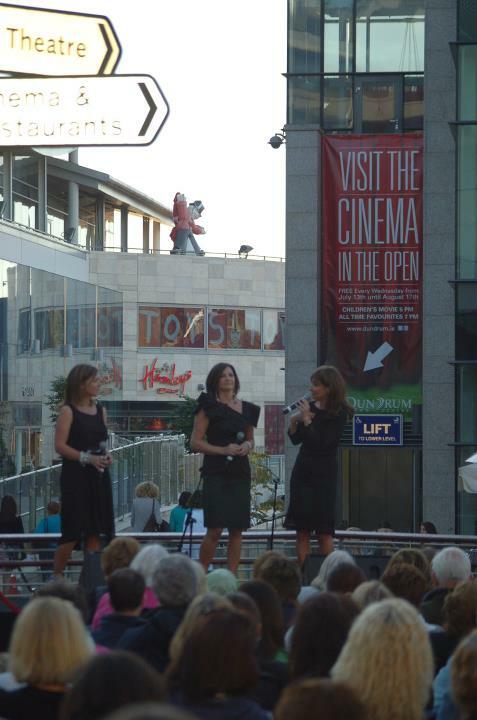 Thank you Lisa, Wendy & Cathy so much for singing so beautifully at our wedding on the 6th august. The professional, warm & friendly manner which you have, made it a dream to work with you in choosing our wedding music. It was so beautiful, we would love to do it all over again!! Our wedding guests were wowed by your beautiful talent & we still hear such beautiful compliments about the wedding!! Thank you so much for your spellbinding, enchanting, incredible and memorable singing and music at our wedding as a long time fan you truly made my day and wedding ceremony incredibly moving and special. Our guests were still talking about your singing now after 5 weeks following our wedding. Peter was also incredibly impressed and felt you were all incredibly warm meeting him before the start of the ceremony. We were delighted to get a chance to meet you and thank you before we walked down the aisle as husband and wife. We will never forget your contribution to the best day of our lives. I just want to thank The Vard Sisters for making our wedding service more magical than we could have imagined. You brought the church to life with your haunting and soothing melodies and harmonies. Every guest that I spoke to on the day and since then have remarked on how beautiful you all sounded, having The Vard Sisters was definately a talking point of the day. Thank you! The photographer took some lovely photos of you all singing in the gallery, I will send them on to you, you might like to use them on your website? We just wanted to thank you for the beautiful singing at our wedding. You and your sisters were brilliant and guests were saying to me how lovely the singing was. It made the day even more special. I just wanted to say how fabulous you and your sisters were on Friday. I went looking for you after I had greeted everyone but you had left. I can’t blame you, the priest was pretty long winded and it was late and hot. We had so many compliments on the singing, not least of which was Rory’s aunt who I believe got your autographs and apparently tried to buy your cd!! Everyone said they wanted to clap after every song.One of my favourite memories of the day was just sitting at the altar watching you perform Hiding Place and all the other stunning pieces. I hardly gave Rory a look! Rory was also so impressed. got back ok with the snow etc. Thank you all so much for making our wedding so memorable. Our aim, when planning our wedding, was to have a meaningful and moving ceremony and the rest of the day would look after itself. We are delighted that we achieved this with your help. The music and singing was fantastic and touched everyone there. Many of our guests commented that they felt they were renewing their own vows and didn’t want the ceremony to end. We really are thrilled with your performance and the happy memories will remain in our hearts for a long time to come. Just when you thought it safe to open your e mails here I am again!!! First of all I must apologise for such a long delay in contacting you after the wedding – we have been in France (recuperating – with lots of champagne and wine!!!) since and have only just returned. On behalf of my daughter and our family I would like to say what a joy it was to hear your amazing voices on her special day. We were entranced as were our family and friends and it certainly was the highlight of MY day. I really did not want that part of the day to end – it was just pure magic. One of my friends has decided the Vards are singing at her funeral!! Scary! I shall be there though … ! Thank you also for your assistance and unfailing courtesy during the process of choosing pieces for the wedding. All of our favourite songs performed so marvellously. You are a wonderful ambassador and it was a great pleasure to meet you in September. I only wish I had a few more daughters so that I could have the pleasure of hearing you all again. My husband is equally delighted we dont!! On a purely monetary basis I mean! Hope all is well. 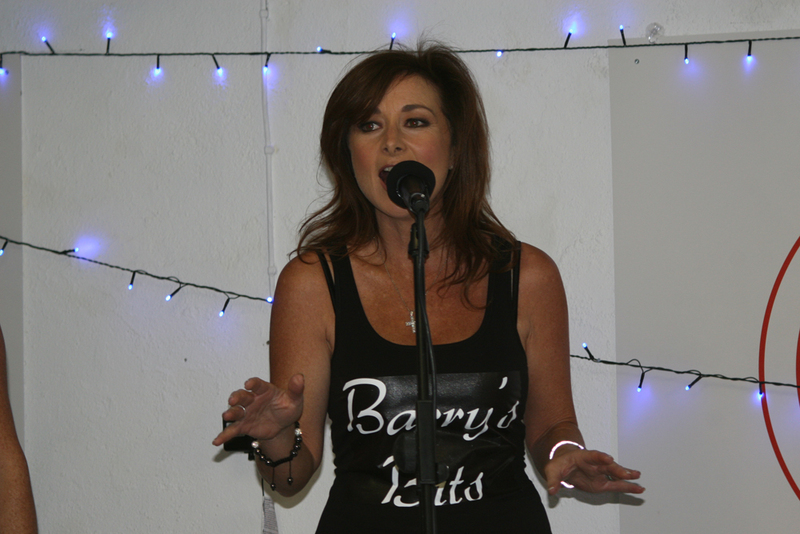 Myself and Ann want to thank you for the wonderful performance you put on for our guests in Trim in August. Your music was simply amazing and it really left an impression on all our guests. People were still talking about it weeks later. Thanks so much to all of you for everything and I hope to work with you in the future. We want to thank you, Lisa & Wendy for singing at our wedding. Your voices were magical and made the cermony extra special for us. We were delighted that you were a part of our day. All the guests were saying on the day how wonderful the music was so thank you all so much. Sorry I didn’t get to say hello on the day, you should have come over to me… anyway I will recommend you to anyone I hear who needs church music! I just wanted to drop you a quick note to thank you so much for your beautiful singing at our wedding. I never even got a moment to introduce myself on the day! You were really fantastic, both Ciaran and I thought your songs were so beautiful, really adding to the ceremony making it even more special for us. Just wanted to thank you so much for the beautiful music you provided in the church. It was truly amazing. your voices were out of this world. The guests were overwhlemed with your singing and are still talking about ye.. I just wanted to drop you a quick note to thank you and your sisters for doing an amazing job of the singing at our wedding. Your beautiful singing helped to make the ceremony even more special. Every guest commented on how wonderful the church music was. Thank you again, I am so thrilled I made the decision to have the Vards sing at our wedding, it was definitely the best choice I could have made. I don’t think it would be possible to top your performance! Many thanks again. I am attaching a couple of the professional photos of yourselves from the wedding. They are copyright free so if you want to use them you are welcome to do so. Hope you are all well. I’m sorry it has taken me this long to write and thank you, Wendy and Lisa. I just wanted to say that I was totally blown away when I heard the first song The flower duet my dad and I were in tears walking down the isle. The music throughout the ceremony was truly amazing and for me my favourite part of the day. My mom had been at a wedding twelve years ago you guys were singing at and I remember her coming home saying Aimee these girls have to sing at your wedding when your big!! My guests enjoyed every second and are still raving about you. So..I cant thank you enough Cathy and please pass on to the other girls. Take care, Aimee and Ger and Families. Thomaston Church 27th November 2009. Cathy, Wendy and Lisa, I and John would like to thank you for making our wedding ceremony an experience we will never forget. You couldn’t hear a pin drop in Clonakilty Church during your performances. One guest commented that they felt like clapping after every song and felt bad for not doing so!. I must say that your help in the selection of songs was perfect and I was so glad that I went with your recommendations. Your music and voices totally complemented the whole ceremony. I am finally getting time to write to you now, life has finally returned to normal! I just want to say a huge Thank You for the amazing performance at our Wedding, 20th February. It was absolutely beautiful; everyone is still talking about how fantastic the music was. I will never forget walking up the aisle to Nella Fantasia, it truly was amazing. You gained many new Fans and lots of our guests have since gone and bought your CD! Owen and I would like to thank you and your sisters for making our Wedding Day so special. The music that you all provided was the highlight of our Day, something that we will always remember. Our guests were speechless with ye’re sheer professionalism and amazing voices, and are still talking about it. Church music was important to us as we wanted it to set the tone for the rest of our day so I immediately booked The Vard Sisters. And I was not disappointed, I will never forget my walk up the aisle I was overcome with emotions by the unforgettable sound (I actually cried). Cathy was very helpful and offered me some great advise on hymns for the mass – I had other ideas which she took on board and together we worked it all out. It was PERFECT. truly adding to the atmosphere on the day. We just wanted to say thank you very much for making our Wedding ceremony in Kilkenny on October 30th 09 so special and memorable for both of us. Your singing was outstanding and we really were so delighted that you could share in our special day. Your help and guidance coming up to the Wedding in choosing songs for the ceremony was invaluable. So many of our guests complimented your wonderful performance on the day. It really was magical ! We just want to thank you all from the bottom of our hearts for making our Wedding Day the most beautiful and prayerful day of our lives. When those doors opened and I heard you sing Nella Fantasia all my nerves went away and I smiled the whole way down the aisle to the altar. 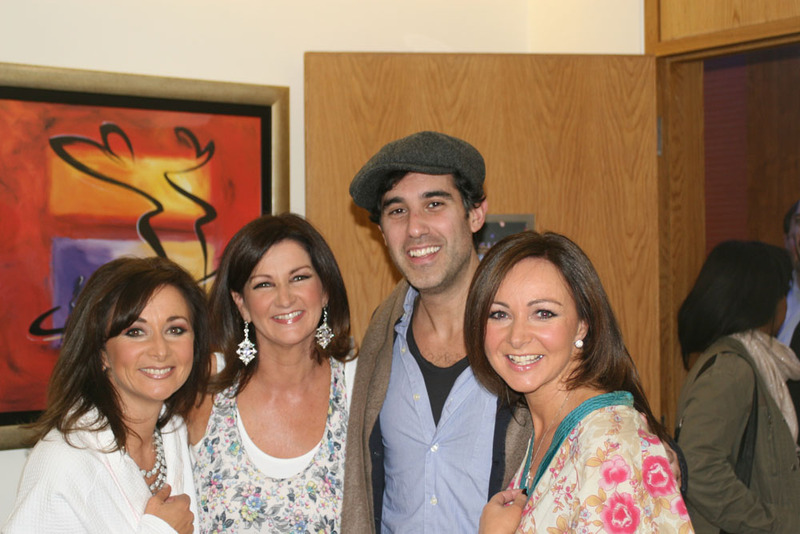 Your voices are truly a gift from God and I am so glad that you could share them with us and our guests in Sligo on October 24th 2009. All the guests were blown away by the music, so many said it was the most beautiful wedding ceremony they have ever been to. Hope to see you in New York some time, let me know if ye are ever on the other side of the pond. Firstly, my sincere apologies for the delay in contacting you – we were fortunate enough to have a long honeymoon so only just arrived back a few weeks ago and have since been settling into life back on earth! Anyway, what can I say, only YE WERE FANTASTIC and I thank you for intensifying the entire experience for Nick and I, and for our guests. Your performance was not only excellent it was amazing. From the moment the music started it was incredible, your voices filled the Abbey, it was perfect. For the rest of the day, all our guests were complementing the beautiful singing and we are still hearing the raving comments about your singing and music. Thank you so much Ladies, for making our day so special and spiritual. Thank you also for all your advice and your time taken in preparing. We would recommend without any hesitation. Very best wishes to such talented ladies. Just a quick note to say thank you so much to Cathy, Wendy and Lisa for making our wedding ceremony in Rathfarnham Church on 7th Aug 09 so very wonderful. It was such an amazing day, which was set off to perfection by your accompaniment at the church. We really appreciate everything you did to ensure an unforgettable occasion; from your very professional and helpful advice on the songs, hymns and music that would suit the day, to the performance at the ceremony itself. It was a welcomed relief to know that once we had discussed it, that everything was then left in your hands for the day, and you delivered it to perfection. It truly was breathtaking. And although I was confident I would enjoy and appreciate it, I wasn’t quite prepared for the reaction of the guests, who were, without fail, blown away. Our heartfelt thanks to each of you for making our wedding ceremony truly memorable. Just mailing you to say thank you so so much for your beautiful singing on our wedding day. It really added to the atmosphere of our wedding Mass and so many people commented on the music afterwards. Such beautiful voices and such beautiful harmonies! Walking down the aisle with my Dad was a very special moment for me and hearing your beautiful performance of ‘Nella Fantasia’ made it even more special. I still get shivers down my back when I remember it! Ian and I would highly recommend you and the girls to anyone choosing music for their wedding Mass. I was so sorry I missed you after the Mass because Ian and I really wanted to thank you for everything in person. Sean and I would like to extend our sincere thanks to you and your sisters for your beautiful music at our wedding on May 22nd 2009 in Kilquade Parish Church. As you may have heard the priest say, I got very emotional coming up the aisle to Nella Fantasia which continued as you sung Eagles Wings! The tears kept flowing! Both Sean and I and all our guests were overcome by your voices and accompanying instrumental. It was so moving. We can’t wait for our video – the highlight of the day being the ceremony and in particular your music. I just wanted to say that you were just amazing at our wedding. From the minute you started to sing Nella Fantasia as I was walking up the isle everyone there just froze when they heard you sing (& I don’t think I’ll ever forget that moment). We had goose-bumps listening to you at the altar during the service and it made our wedding so special to us. In fact people at the back of the church thought that we had a CD of you singing because each song was just perfect, they got a nice surprise when they came up to the altar!!! Thank you for playing and signing such truly beautiful music at our wedding mass in Carrigeen Co. Kilkenny on the 3rd of November 2007. David and I have reflected on our wedding day and I can say without hesitation that your singing really made our day special. Many of our guests said afterwards that the music in the church was breathtaking and that they will never ever forget your voices which sounded like angels singing. Thanks again for your professionalism and for helping us select our songs. I would have absolutely no hesitation in recommending the Vard sisters to any other couple for their wedding day. Thank you so much for traveling to Drumraney Church on October 29th 2007. I really wanted the ceremony to be talking point of the wedding, as that is the most important part. I was so glad that we had asked you to sing at our wedding for two reasons firstly and most importantly because the singing was really fantastic and professional. Everyone commented on it and were trying to sneak a peek at you. The second reason is that you were so nice to deal with nothing was a problem and you really were open to anything that we wanted. So thank you for making our day so special. I knew I didn’t have anything to worry about from the first day I spoke to you. We would like to extend our heartfelt thanks to you for the amazing contribution you made to our wedding ceremony in Bohernabreena on September 15th 2007. When we think of our wedding mass, we recall the beautiful singing, full of emotion as it really was breathtaking. The mass music for me was very important to get right, and the support I received in choosing my songs was excellent. I found you to be very flexible with the arrangements for songs I wanted. To all engaged couples planning your wedding you must book the Vard sisters! We would like to take this opportunity to express our sincere gratitude to The Vard Sisters and musicians for providing us with unforgettable music at our recent Christmas wedding in Ashford, Co. Wicklow. It is without hesitation that I can say, the ceremony was the highlight of the day. All of our expectations were surpassed and what a start to the day! The reaction we received from guests was phenomenal, several of them have since purchased your Heavenly album. It was a pleasure to deal with you in every regard, thank you so much for making our ceremony a truly memorable celebration. Magical, Enchanting, Unique, and Memorable are just some of the words guests used to describe your singing on our day. People are still talking about how emotional and heart felt the ceremony was and how your beautiful voices filled the church with warmth and love. One of the highlights of our day was the church and your beautiful singing. Derek and myself don’t know where to start in thanking you for helping us to create one of the best days of our lives. I wasn’t nervous going up the aisle as I could hardly wait to hear your voices welcoming me in to the church. Your guidance in picking the correct songs was invaluable. Our gratitude and happiness goes beyond words. Thank you again for helping us create a day that we will definitely remember. PS.. Sorry we did not get to meet with you. Just a note to say thank you so very much for the beautiful singing at our wedding in Abbeyleix Church last October. From the moment I entered the church I felt all my nerves fleet away when I heard your beautiful voices singing “Nella Fantasia” – From that moment on I knew that the ceremony was going to be everything I hoped for, and it was. Myself and Kevin thoroughly enjoyed the singing and it really helped us to take time out during the ceremony to relax and really remember what the day was about. Your rendition of “the Prayer” after communion had so many moved to tears – it was truly special and I will remember it always. Our guests still talk about the beautiful, moving music on the day and I really just wanted to thank you most sincerely for all your advice, guidance and reassurance in the run up to the big day. We look forward so much to hearing you sing again at my sisters wedding this December, as do all our family as we know you will again make the ceremony so memorable and special. Just a note to say a HUGE thank you to you all for your fantastic performance at our wedding on the 15th of August 2008. You really made our day so magical with your outstanding voices. It was extremely mesmerising and quite emotional! I want to thank you all from the bottom of our hearts for playing a huge part in a ceremony that we will never forget. We just wanted to say thanks for making our wedding day so special in Holy Cross in August. All our guests complimented your beautiful singing, I was almost in tears walking up the aisle to Nella Fantasia. We had such a wonderful day, thank you for all for playing such a special part. This email is so long overdue. You sang so beautifully at my sister Anne’s wedding in Clonown Church, Athlone, on Sept. 27th last. It was such a memorable, wonderful occasion and all the more special by having you there to share it with us. You are still the talk of the Parish!! – all complimentary Anne and Declan are happily settled in Roscommon and looking forward to a special Christmas. Many thanks again for your beautiful singing, hopefully when you go on tour again we will meet up. Wishing you all a Happy Christmas and a healthy New Year. 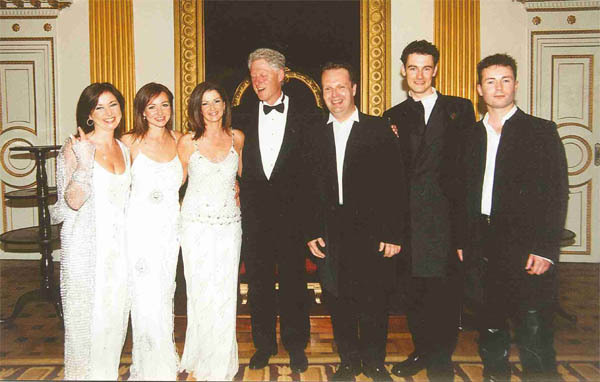 Just a quick e-mail to thank you again for such a beautiful performance in Dromoland Castle on January 9th, 2009. Everything was absolutely perfect. You made the ceremony! It was so emotional but extremely special at the same time. To be honest, I don’t have words to express how delighted and privileged we felt to have you sing at our wedding. Every song was sung with feeling and absolute perfection. Its very difficult to choose a favorite but because I shed a tear to The Voice of An Angel, that is definately one song that will stay with me forever. So, thanks so much! To the wonderful Vard Sisters. Thank you for making our ceremony on the 19th July 08 so special with your incredible singing. You are true professionals with an amazing talent and we were so delighted to have had you as such an important part of our Wedding Day. Robert and I spend our honeymoon with the words of Nella Fantasia going around in our heads. I will never forget the day so thanks a million to you all, everybody has been calling me to say how beautiful and moving the church music was. I just wanted to say a huge “THANK YOU” for singing at our wedding on 15th May St Mary’s church Kinnegad, it was truly beautiful, and when I heard Nella Fantasia walking up the aisle I found it hard to keep away the tears!! You were all fantastic, and such a great help on the run up to the wedding with regard to song choice everybody commented and still are about the music in the church.